For this mode P6, we adopt toroidal transformer to build this power supply to make sure it is in accordance with the EMC requirements. The radiation and current noise have been controlled in a very limited range. Short-circuit protection design for every output makes this power supply more safer. When the output overloading, the corresponding LED light would be turned off. -Guitar effect power supply with 8 isolated DC 9V 100mA outputs. -Every output with short-circuit protection design, safer to use. -Adopts toroidal transformer to built this power supply, which is in accordance with the EMC requirements. -Each output is designed with LED indicator. When the output overloading, the corresponding LED would be turned off. -Compact size and full metal shell, portable and durable. 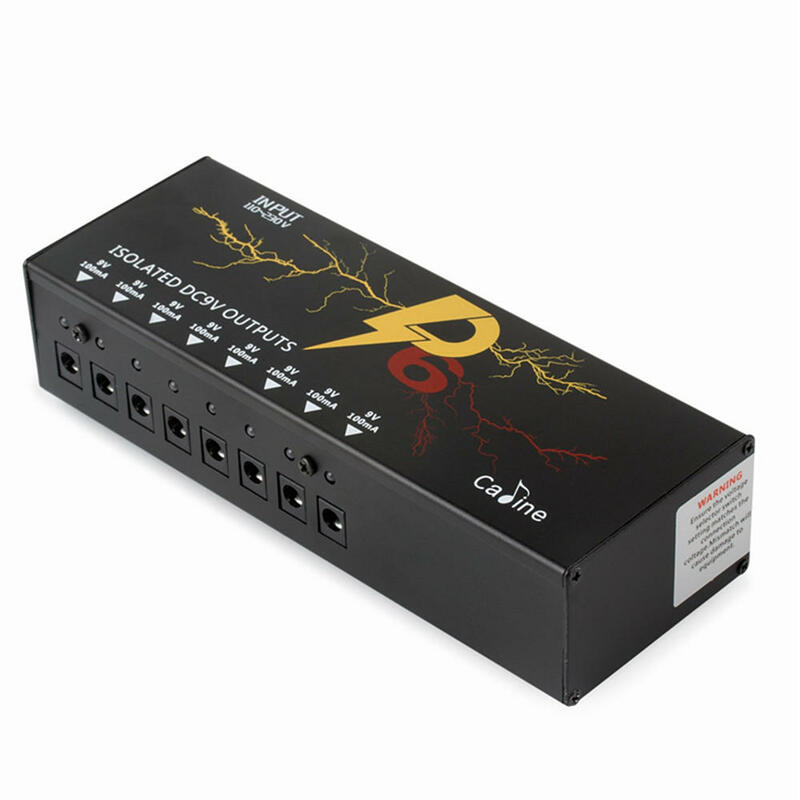 -Comes with 8pcs power cables, one polarity reversing cable, one AC to DC cable for convenient usage.